What are the prerequisites for having SIRT done? For patients to undertake SIRT they must have inoperable liver tumours. The Australian approved indication for SIRT includes treatment of both primary liver cancer (hepatocellular cancer) and secondary tumours (metastatic tumours). SIRT has been performed on a wide range of secondary metastatic tumours and trials are ongoing to determine the effectiveness of SIRT for each cancer primary disease that spreads to the liver. Patients must have a referral from an oncologist to the interventional radiologist. Patients having SIRT will be treated in approved hospitals only. Approved hospitals have the expertise and capability to perform this procedure. Hospitals that typically perform SIRT include large academic institutions as well as smaller private hospitals with capability to perform this treatment. All patients must have the “work-up” phase successfully completed to be eligible to undertake SIRT. Ideally the patient’s case history should be examined by a multi-disciplinary team experienced with liver cancers. Median survival was significantly longer in patients with or without extrahepatic metastases when SIRT was added to a common systemic chemotherapy 5FU (dark line, Figure 1 above) compared with chemotherapy alone (HR 0.33: 95% CI 0.12, 0.91;Van Hazel et al., 2004). Median survival in the SIRT + systemic chemotherapy arm was 29.4 months compared with 12.8 months in the systemic chemotherapy only arm. It is important to note that this highly significant result was seen despite the small number of patients included in this trial (N=21). 18 of the 20 patients on the trial had a reduction of their liver tumours of 50% or more. The remaining 2 patients’ tumours stabilised and did not grow further. Two patients from the group were able to have liver surgery following SIRT. The median time to progression in the liver was 12.3 months in the whole 20 patients. In the subset of 7 patients with no extra hepatic metastases, median time to progression was 14.2 months. Completed trials have demonstrated the efficacy and safety of SIRT in treating secondary liver tumours from various primary tumours including bowel cancer and neuroendocrine. In addition, an increasing amount of publications have demonstrated reductions in tumour sizes with SIRT in primary liver cancer (also known as hepatocellular cancer). What are the absolute contraindications for SIRT? Pre-treatment hepatic angiogram that demonstrates the potential for deposition of SIR-Spheres® in the gastrointestinal tract or any other organs that cannot be corrected by catheter embolisation techniques. What are the relative contraindications for SIRT? Anticipated treatment with capecitabine at any time following treatment with SIR-Spheres® microspheres. What are the adverse effects of SIRT? Inadvertent delivery of SIR-Spheres® microspheres to the gastro-intestinal tract or pancreas will cause acute abdominal pain, acute pancreatitis or peptic ulceration (stomach ulcer). Management: Patients can be managed with analgesia immediately after implant. Patients may also be referred for endoscopy for confirmation of ectopic implantation of SIR-Spheres® microspheres. High levels of implanted radiation and/or excessive shunting of SIR-Spheres® microspheres to the lung may lead to radiation pneumonitis (too much radiation to the lungs). This may result in a non productive cough in the lungs. All patients that have SIR-Spheres® microspheres will have their suitability for treatment assessed in the work-up phase. Management: Patients deemed to be a risk for radiation pneumonitis would not be recommended to undergo SIRT. Excessive radiation to the normal liver may result in radiation hepatitis (too much radiation to the liver). Patients that are considered at risk of this would not normally be recommended to undergo SIRT due to the underlying poor liver function caused by the patients liver tumour/s. Management: Patients suspected to have liver dysfunction following SIRT are advised to speak to the treating interventional radiologist who is trained to report on this condition. Inadvertent delivery of SIR-Spheres® microspheres to the gall bladder may result in inflammation of the gall bladder. Management: The risk of radiation cholecystitis is <1%. Management is normally through control of symptoms. In rare circumstances patients may be recommended to undergo a procedure called a cholecystectomy (removal of gall bladder). Patients having SIR-Spheres® are all treated by experienced interventional radiologists familiar with the risks and how to deal with these to minimise any adverse outcomes. Are there alternative imaging tests, interventions or surgical procedures to SIRT? Chemotherapies: There are many different types of chemotherapy and your doctor would advise what chemotherapy might be suitable for your particular cancer type. Radiofrequency ablation: A procedure in which a special electrode is placed in a liver tumour/s and a radiofrequency current heats the tumour tissue to destroy (ablate) it. Cryotherapy: Like radiofrequency ablation uses a special electrode, however, extreme cold is used to freeze and destroy the tumour/s. he referring clinician will advise on the suitability of alternative imaging tests. In addition to standard imaging tests for SIR-Spheres® microspheres, the treating radiologist may employ an MRI scan (Magnetic Resonance Imaging). MRI produces an image of the liver similar to a CT scan but a special chemical called a “tracer” is injected into the blood to allow the MRI machine to take pictures of the liver. References have been provided below on the expanding clinical data with SIR-Spheres. Van den Eynde M, Flamen P, El Nakadi I et al. Inducing resectability of chemotherapy refractory colorectal liver metastasis by radioembolization with yttrium-90 microspheres. Clin Nucl Med 2008; 33: 697–699. Flamen P, Vanderlinden B, Delatte P et al. Multimodality imaging can predict the metabolic response of unresectable colorectal liver metastases to radioembolization therapy with Yttrium-90 labeled resin microspheres. Phys Med Biol 2008; 53: 6591–6603. Sharma RA, Wasan HS, Love SB et al. FOXFIRE: a phase III clinical trial of chemo-radio-embolisation as first-line treatment of liver metastases in patients with colorectal cancer. Clin Oncol (R Coll Radiol) 2008; 20: 261–263. Sharma R, van Hazel G, Morgan B et al. Radioembolization of liver metastases from colorectal cancer using yttrium-90 microspheres with concomitant systemic oxaliplatin, fluorouracil, and leucovorin chemotherapy. Journal of Clinical Oncology 2007; 25: 1099–1106. Mancini R, Carpanese L, Sciuto R et al. A multicentric phase II clinical trial on intra-arterial hepatic radiotherapy with 90yttrium SIR-Spheres in unresectable, colorectal liver metastases refractory to i.v. chemotherapy: Preliminary results on toxicity and response rates. In vivo 2006; 20: 711–714. van Hazel G, Blackwell A, Anderson J et al. Randomised phase 2 trial of SIR-Spheres plus fluorouracil/leucovorin chemotherapy versus fluorouracil/leucovorin chemotherapy alone in advanced colorectal cancer. Journal of Surgical Oncology 2004; 88: 78–85. Gray B, van Hazel G, Hope M et al. Randomised trial of SIR-Spheres plus chemotherapy vs chemotherapy alone for treating patients with liver metastases from primary large bowel cancer. Annals of Oncology 2001; 12: 1711–1720. Lau W, Leung W, Ho S et al. Treatment of inoperable hepatocellular carcinoma with intra-hepatic arterial yttrium-90 microspheres: a phase I and II study. British Journal of Cancer 1994; 70: 994–999. Sangro B, Bilbao JI, Boan J et al. Radioembolization using 90Y-resin microspheres for patients with advanced hepatocellular carcinoma. International Journal of Radiation Oncology, Biology and Physics 2006; 66 (3): 792–800. Rivera L, Giap H, Miller W et al. Hepatic intra-arterial infusion of yttrium-90 microspheres in the treatment of recurrent hepatocellular carcinoma after liver transplantation: a case report. World Journal of Gastroenterology 2006; 12: 5729–5732. Chui A, Rao A, Island E et al. Multimodality tumor control and living donor transplantation for unresectable hepatocellular carcinoma. Transplantation Proceedings 2004; 36: 2287–2288. Lau W, Ho S, Yu S et al. Salvage surgery following downstaging of unresectable hepatocellular carcinoma. Annals of Surgery 2004; 240: 299–305. Szeto C, Wong T, Leung C et al. Selective internal radiation therapy by yttrium-90 microspheres for hepatocellular carcinoma after renal transplantation. Clinical Transplantation 2001; 15: 284–288. Lau W, Ho S, Leung T et al. What determines survival duration in hepatocellular carcinoma treatedwith intraarterial yttrium-90 microspheres? Hepato-Gastroenterology 2001; 48: 338–340. Lau W, Ho S, Leung T et al. Selective internal radiation therapy for non-resectable hepatocellular carcinoma with intraarterial infusion of 90-yttrium microspheres. International Journal of Radiation Oncology, Biology and Physics 1998; 40: 583–592. King J, Quinn R, Glenn D et al. Radioembolization with selective internal radiation microspheres for neuroendocrine liver metastases. Cancer 2008; 113: 921–929. Jakobs TF, Hoffmann RT, Fischer T et al. 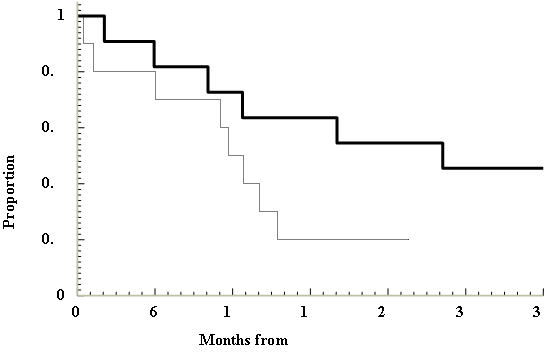 Radioembolization in patients with hepatic metastases from breast cancer. J Vasc Interv Radiol 2008; 19: 683–690. Coldwell D, Kennedy A, Nutting C. The use of yttrium-90 microspheres in the treatment of unresectable hepatic metastases from breast cancer. International Journal of Radiation Oncology, Biology and Physics 2007; 69: 800–804. Rubin D, Nutting C, Jones B. Metastatic breast cancer in a 54-year-old woman: Integrative treatment with yttrium-90 radioembolization. Integrative Cancer Therapies 2004; 3: 262–267. Sharma et al, Radioembolization of liver metastases from colorectal cancer using Yttrium – 90 microspheres with concomitant systemic oxaliplatin, fluorouracil, and leucovorin chemotherapy. J Clin Oncol. 2007; 25(9): 1099-1106.